In a state where opioid related deaths seem relatively low compared to the rest of the country, one major city is dealing with increasing number of their own. San Diego’s Fentanyl related deaths have increased between 2016 and 2017. In 2015, California ranked 7th in the lowest drug deaths in the nation, having an average 11 drug related deaths per 100,000 residents, seems low compared to the higher ranking states like New Hampshire and West Virginia, who have a devastating 34 and 41 average per 100,000. In California last year there were 1,925 deaths blamed specifically on opioids, including at least 234 fentanyl deaths, according to the California Opioid Overdose Surveillance Dashboard. San Diego County accounted for 12 percent of those deaths, with 239. Dr. Richard Clark, director of the Division of Medical Toxicology at UC San Diego Health System has seen the trend rise in UC San Diego Medical Center’s emergency room in Hillcrest, where he estimates a 30 percent rise in fentanyl-related cases. San Diego now has a fentanyl mortality rate twice as high as the national average. Law enforcement officials believe the rise comes from street drugs being laced with the powerful synthetic to boost profit margins. Because of San Diego’s close proximity to Mexico and large shipping ports may be to blame for the large trafficking of the drug coming into the state. Dealers are now using the imported fentanyl and cutting them into other dangerous opiates and selling them as prescription painkillers. Earlier this month, a drug dealer who sold counterfeit oxycodone pills laced with fentanyl was sentenced to 15 years in prison after the man he sold them to died. It was the first fentanyl death case prosecuted by the San Diego County District Attorney’s Office. Fentanyl is 50 to 100 times more potent than morphine, according to the Drug Enforcement Administration. 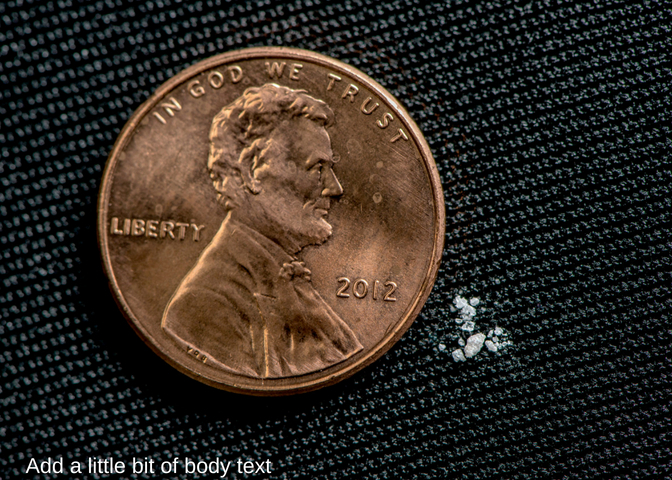 In its illegal form, fentanyl is so potent a size equal to two grains of salt can be deadly.